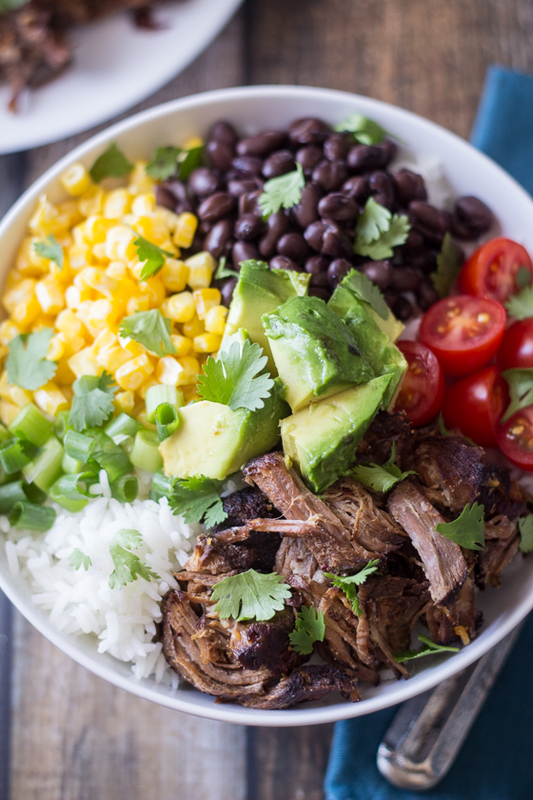 Cook your barbacoa beef in the crockpot and this will throw together so easily. I always make extra rice in my rice cooker and freeze the rest in serving size portions. Into each bowl, place 1/2 cup beef, 1/2 cup tomatoes, 1/4 of the beans, 1/4 cup corn, ? cup green onion, and 1/4 of the avocado.